You find an old watch, flip it over, read the stampings on the case or back cover, and think, “The case is 14K gold.” Then you make a snap judgment about how much the gold in the case is worth and either buy it or not, depending on the asking price. 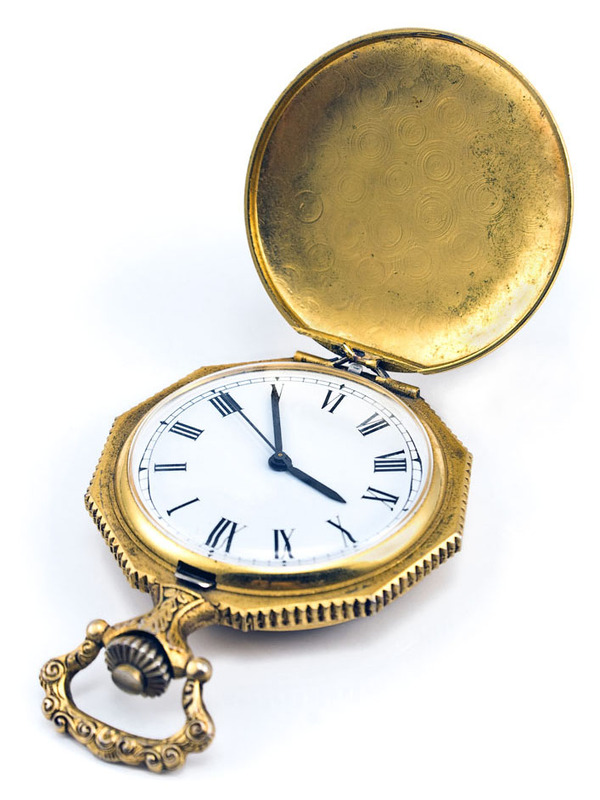 There could be more gold in this antique watch than meets the eye. Credit: Gavran333/iStock. On watch hands – After cases, this is the place where you are most likely to find gold in older watches. Watch hands can be heavily gold-filled, even in middle-level watches. On watch faces – Be sure to take a close look. Number markers and decorations on watch faces were often made of gold or were gold-plated or gold-filled in years gone by, even on lesser watch brands. In internal mechanical parts – Now here’s a surprise. In the early days of watchmaking – way back in the early 19th century – high-end watchmakers made a number of internal parts from gold. One example? Bridges that were used to hold gears and other moving parts. Jewelers also plated gears and other internal parts with gold. Why? Because gold resists corrosion. It was actually a practical metal to use in watches that were intended to be worn by sea captains and other people who worked outdoors, where watch movements were likely to become wet due to condensation. On watchband buckles and decorations on leather watchbands – Don’t overlook them in your hunt for gold. The older and more luxurious the watch, the greater the odds you will find 14K or 18K gold on the bands. And you don’t want to miss any older metal bands that are gold-filled or gold-plated. Granted, there’s not much gold in an inexpensive modern digital watch. But just like many electronic devices, they can have printed circuit boards that contain minute quantities of gold. If you can snap up a large quantity of them for just a few dollars, extracting the gold they contain could be worth considering. If you’re not sure how much gold can be found in an old watch, or in old watches that you own, give us a call at 800-426-2344 to speak with one of our precious metals consultants. Your items could qualify for free or discounted shipping when you send them to us for testing, so be sure to ask.